This was the first book I bought at McLean & Eakin. I was 11.
readers and made the book educational as well as fascinating. From the author of the National Book Award-winning novel Homeless Bird comes a gripping historical novel about a young girl during the British-American War of 1812. When war erupts between England and America, it brings change and uncertainty, even to Michigan's remote Mackinac Island. For young Mary O'Shea, the hardest change is the departure of her father, who leaves Mackinac to join the American Army. With her sister and brother, Mary must tend the farm, deal with the hardships of British occupation, and hope for the safe return of their father. 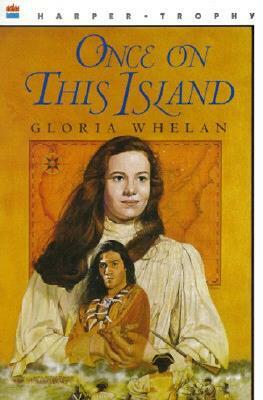 With her trademark lyricism, spare prose, and strong young heroine, award-winning author Gloria Whelan has once again taken a chapter from history and transformed it into gripping, accessible historical fiction that is perfect for schools and classrooms, as well as for fans of Ruta Sepetys and Elizabeth Wein.